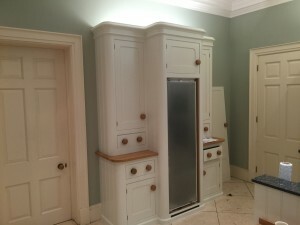 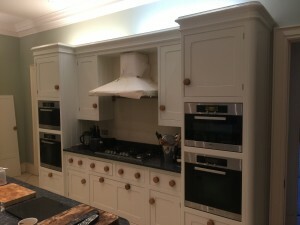 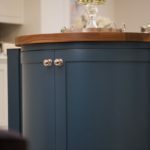 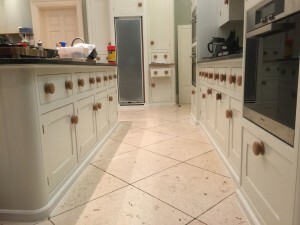 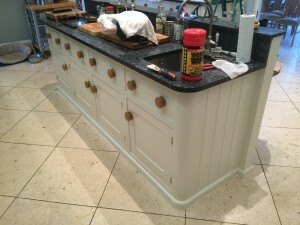 The clients contacted me after finding my details on Google, They wanted the kitchen furniture repainted in a off white shade, This required quite a lot of preparation and 5 coats of paint, The doors and drawers also required easing as most of them were sticking. 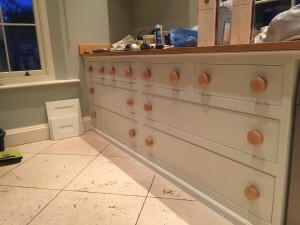 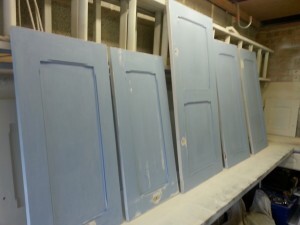 As my son works with me we are able to have one of us on site to work on the cabinets and as we take the doors and drawer fronts off, we are able to have one of us back in the workshop to complete the doors and drawer fronts before refitting. 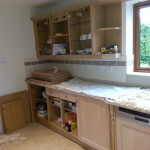 This cuts the time down by half and also a lot less mess and disruption on site for the customer. 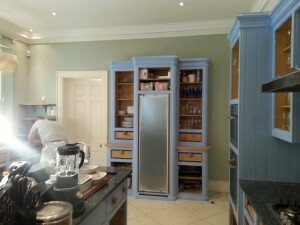 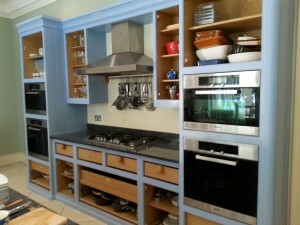 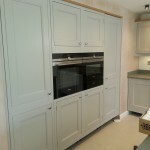 The completed kitchen looked fanstastic and as good as new ! 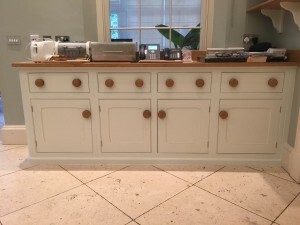 We would just like to thank both Pauls for their very professional work re-painting our kitchen – they were very clean and tidy and we couldn’t be more pleased with the outcome. 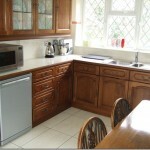 Many thanks to you both – we would definitely recommend you to our friends and family.